Why Are People Worried About Constitutional Reforms in Venezuela? (Oct. 30, 2007) Are the constitutional reforms to be voted on in December a threat to Venezuela’s democracy, and if so, what implications does this have for the region? In a strong statement denouncing the proposed constitutional reforms a number of influential academic and social academies have recently spoken out against President Hugo Chávez’s proposed constitutional reforms calling them illegitimate and undemocratic. The controversy centers on two fronts, the institutional process and the proposed reform to presidential term limits. The issue of institutional process revolves around the 2005 national assembly elections in which government opposition parties refused to participate in what they called unfair elections. The opposition said that it did not believe the national electoral council (CNE) could offer the necessary guarantees to ensure free and fair voting. Their refusal to participate effectively handed total control to the president and his allied political parties in the National Assembly, the highest legislative body in the nation. Chavez has since been moving forward quickly with his “21st century Socialist Bolivarian Revolution,” using this legislative body to codify his policies into law. The second issue deals with a series of proposed reforms, in particular the proposed amendment to article 230 of the 1999 constitution, changing presidential term limits from six years to seven with the option of indefinite re-election. Some call the proposed reform a constitutional coup d’état, but the government defends it by noting that there are still two checks remaining on presidential power; popular elections and recall-referendums. But do these two issues represent a threat to Venezuela’s democracy? That’s the tricky question for a number of governments in the region. If they think it is and decide to speak out, they would be obligated to protest the government and call for the return of democracy. For instance, within the Union of South American Nations (Unasur), the regional integration institution Chávez is using to build a South American pipeline and the new Banco del Sur, democracy is a precondition of membership. If other Unasur nations actually agreed that these new reforms and his past actions (like the closing of RCTV, an opposition media station earlier this year) represent a usurpation of democratic rule, then the region would have a big problem on its hands. However, this is unlikely to happen. Chávez spreads his love all around. 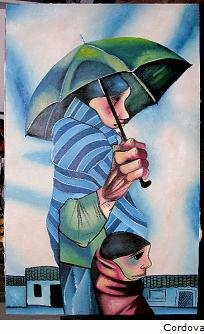 From Argentina to the ghettos of Boston, Venezuela has given new definition to the term petro-diplomacy. Even if other regional nations were concerned about the upcoming reforms, an ongoing energy crisis in the southern cone makes the possibility of losing future access to one of the continent’s richest energy producers a serious deterrent to speaking out against Venezuela’s constitutional reform process. But are the proposed constitutional reforms undemocratic? Not technically, many people forget that democracy is often called a “tyranny of the majority.” All one has to do is control a large enough segment of the voting population to be able to impose their will on the minority. Most constitutions have a series of checks and balances that afford certain basic protections centering on human rights, the rule of law, and private property. So long as these are respected most citizens are resigned to let politicians fight it out amongst themselves. Recent public unrest in Venezuela seems to grow out of a perceived threat to these basic protections. Notice here that the public good is equated with justice and the public is defined by numerical majority. In both cases, the ultimate decision to decide the public good rests with the President; his only immediate check is the pro-government National Assembly. 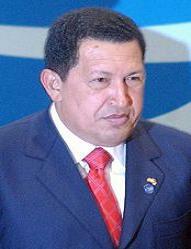 Since taking office in 1998 Chávez has won 3 major political battles, in 1999, 2002, and 2006. His broadest base of support comes from the lower socio-economic classes, the largest beneficiaries of domestic petro-patronage. So long as he can continue to please this majority he will stay in power. Interestingly enough, another proposed constitutional reform would move Venezuela’s Central Bank under executive control. With oil prices high and a firm grip on the nation’s purse strings, Chavez can continue to buy support at home and around the region, effectively ensuring his permanence in national politics for the foreseeable future. Ironically, it seems the opposition’s greatest hope lies in worsening economic conditions at home. If high inflation and currency devaluation continue as they are, Chávez could very well lose the 2013 elections, but that’s still a long way off. Am I wrong in my understanding that all the Constitutional reforms (including Articles 337 and 115) ARE included in the referendum package. Your piece seems to say that these 2 reforms are being handled by the Assembly only. Unless I have my facts wrong, I believe the Assembly had to first agree to the reforms (which they did), and now they will be put before the public.